We will define exactly what work we plan to do on a written proposal, thus avoiding any misunderstanding, and all pruning will be done according to the specifications contained in the ANSI A300 standards. Arborscape’s dependable crews are fully trained and insured professionals who are ready to provide proper solutions to all of your care tree needs. Arborscape specializes in and supports the preservation of trees in our environment; therefore our focus is not to remove every tree in sight! Proactive tree service and maintenance is the best way to ensure the longevity of your trees and shrubs. There are certainly times when a tree needs removal due to infestation, death, rot, or a posed a danger to people and structures in the area, but we hold to the belief these pillars of our city, yard and landscape should be preserved, planted and valued. Arborscape recognizes the importance of trees to the environment as well as the role they play in adding value to your property, be it business or residential, we advise our customers based on what’s best for their particular situation, offering free up-front proposals and estimates. Our company prides itself in helping you create an outdoor living environment that is beautiful, healthy and safe. 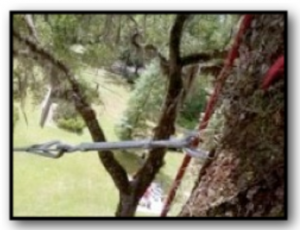 Cabling and bracing is a precise specialized service used to create artificial support to your structurally weak or injured trees and branches. These supports cause the tree to move as a unit and help to prevent tree injuries such as crotch and branch failure as well as providing protection against storm damage. We use this practice to help extend the life and well-being of significant feature trees. At Arborscape, we aren’t just about limb and tree removal. We focus on proper pruning techniques and preservation solutions that will help you build a legacy for the future. Trimming a tree the correct way will maintain its structural integrity and minimize drastic changes that will dynamically weaken and make it less stable over the long run. We can properly diagnose, treat, and care for the trees already on your lot, helping to preserve them for years of enjoyment! Typically a combination of these services will be used to both structurally and aesthetically improve a tree and properly reach the true goals of our clients. Branch Reduction: Complete removal of a limb will cause undue stress and structural changes to a tree and encourage more threatening growth higher up in a trees canopy. When a proper reduction is available, the remaining branch or limb is left as a benefit to encouraging a lower, wider, safer and stronger trunk and as a shorter lighter stronger limb, thereby improving the whole tree’s strength and architecture. Branch and Limb Removal: Unless a limb or branch fully encroaches into a space that is undesirable, removal is typically considered necessary only in some weak, thinning, or poorly attached branches or limbs. When a large limb does need to be removed back the the trunk it is necessary for a proper collar cut to be made where a trees scar tissue is produced to protect the tree or limb from progressive heart wood rot. Also attention should be given to consider counter pruning and insecticide treatments. Canopy Reduction: To properly reduce the height of a trees canopy, thereby reducing the structural dynamics, weight and sail properties of the tree and thus the chance of it being damaged or falling during a storm. This is also known as “crown reduction” and is NOT THE SAME as “Topping” (an illegal practice)! Canopy Thinning: To clean out full canopied trees thereby reducing wind load, unhealthy growth patterns, allowing more light and reducing the tree’s chance of limbs breaking or the potential of the tree falling over. Dead Branch Removal: It is always safest and healthiest to remove dead wood that can fall and hurt people, pets, and structures. Dead wood degrades the overall health of your tree making it hard for the tree to maintain sapwood in a functioning state. Dead branches also harbor insects and rot that can spread into the heartwood of the rest of the tree, destroying it from the inside out. Canopy Lifting/Elevating: Trimming, pruning and removal of lower branches in your tree canopy, thereby allowing more sunlight to pass onto your grass and other landscape features and to expand the vista around your yard and property. Road and Building Clearance: To trim, prune or remove any branch that is close to or leaning on a roof. Such a branch could damage your roof and act as a causeway for squirrels, rodents, ants and other insects to enter your home or business. Other times, for legal reasons, parking lots, roadways, and streets need to be cleared for emergency vehicles to pass. This is also true for service and recreational vehicles. In any given year, no more than 25% – 33% of a tree can be removed through pruning. A mature tree is especially vulnerable to the stresses caused by over pruning. •Thinning the tree of interior growth and sucker growth to create more light, air flow and encourage new growth where desired. Enjoy the peace of mind and confidence that comes from working with a company that is passionate about tree service. Trees are the most valuable part of your landscaping because they greatly affect your property’s value and aesthetics and enhance your local environment. 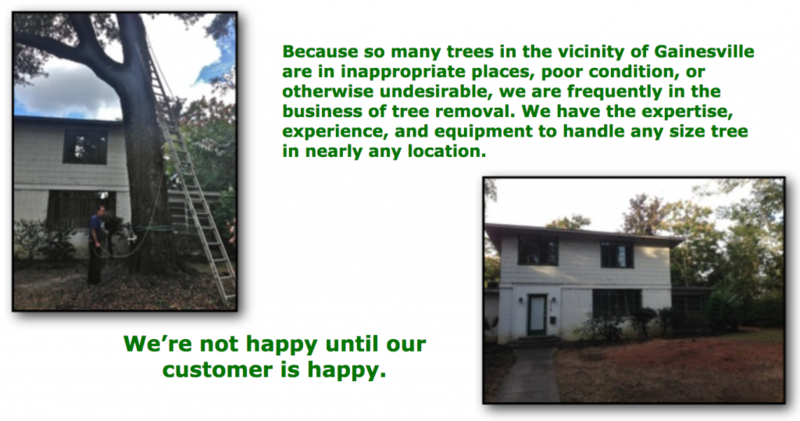 Sickly, diseased, and damaged trees around your home or business detract from your property’s appeal, value, and safety. One of the biggest contributors to the health and well-being of your trees is the soil under and around them. While it’s true that all natural soils have deficiencies, Gainesville area soils are especially challenged because they’re composed of mostly sand and clay. For instance, local soils are naturally very low in iron and phosphorus, which contribute to a tree’s malnutrition. Therefore, just about any tree worth keeping will benefit from a customized application of fertilizer. THE GOAL of fertilizing is simply to make your trees healthier, stronger, and better able to stand the rigors of our environment. This preventive care will also save you time, money, and headaches in the long run. Beauty – Fertilizing ensures a fuller canopy, healthier leaves, and strong bark. Safety – Encourages better root growth which helps the tree withstand high winds and floods, helps it heal more quickly so it’s more resistant to disease, infestation, and rot. Value – Maintains the aesthetic appeal of your landscaping increasing the value and desirability of your entire business, residence, or rural property. Your Arborscape crew will customize a specific package to address the needs and health of your trees. Treatment plans will be based on tree species along with your overall goals, soil and property conditions. 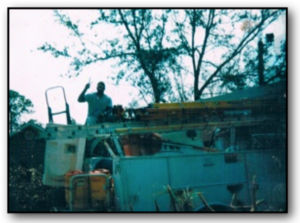 •It’s best to establish an initial tree and landscape clean-up appointment. Prune and treat trees and palms as recommended to get your property set for future maintenance. Doing so will strengthen the trees’ canopies and make them stronger overall. •In subsequent years you’ll find that you’ll only need to schedule simpler maintenance appointments to keep up with the initial improvements. These appointments won’t be as involved and your costs will typically decline as the years go by. •Palm trees need to be watched and and look best when maintained on a yearly basis. •If you’ve planted a new tree, prune it soon after planting to create a sturdier, better formed tree that’s better able to resist wind damage. This is often referred to as “tree training”. •Fertilization and regular inspections will ensure the healthiest and best suited tree canopy. •Awareness of tree damage, signs of sparse limbs and canopies, small holes in the trunk and “sawdust” shavings on the bark should be attended to immediately. Tree removal in most urban and suburban landscapes presents a challenge. Trees in neighborhoods like yours are often surrounded by other valuable trees, landscaping and structures. 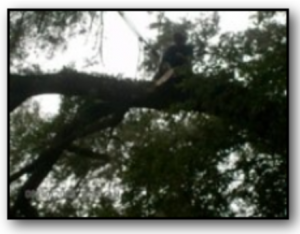 Tree removals often require safe, careful dismantling by highly trained and skilled tree removal professionals. At Arborscape, we’ll not only take down and remove any problematic trees and/or limbs, but we’ll safeguard your property while doing so. Our experts take pride in doing the best clean-up in the industry and care that your lawn, shrubs, and structures are protected throughout the removal process. You can expect completely professional treatment from our crew! We are fully licensed and insured professionals who take our safety and work seriously, we have the training and equipment to properly access and address each tree situation. Once a tree removal has been preformed, you are still left to encounter a secondary, yet important, problem… The tree stump! 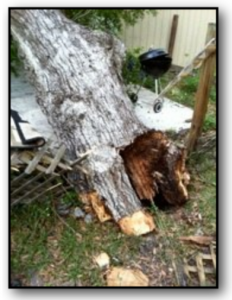 A tree stump can not only be an eyesore be also a dangerous hazard to leave around your property. From an insurance perspective stumps can pose a liability; Children, horses and others can trip and and be injured. Stumps also rot and attract bugs; termites find them very attractive and when they’re attracted to the stump, they often migrate and colonize the next nearest structure – such as your home, business, barn and even other weak trees! We have the equipment to preform stump grinding, this stump grinding process takes the tree stump to a level below the soil and allows us to also remove visible tree roots. 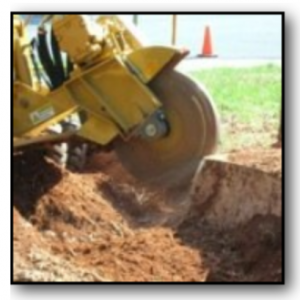 Stump grinding is the most common, effective and affordable method of stump removal. 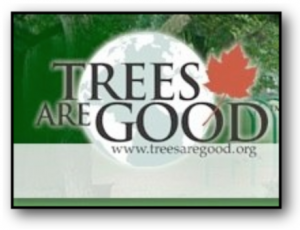 A healthy tree with good structure is best positioned to weather any storm or hurricane. Proper thinning, dead-wooding, pruning, trimming and removal of hazardous trees and diseased limbs and branches before hurricane season arrives is a necessity to prevent the stresses and problems that relate to last minute scheduling. Our Emergency Service means that we’re on call 24 hours a day, 7 days a week for any of your tree emergencies, including holidays.